Lower Red Rock Lake, while lying a bit off the Centennail Valley Backcountry Drive, actually has better access. 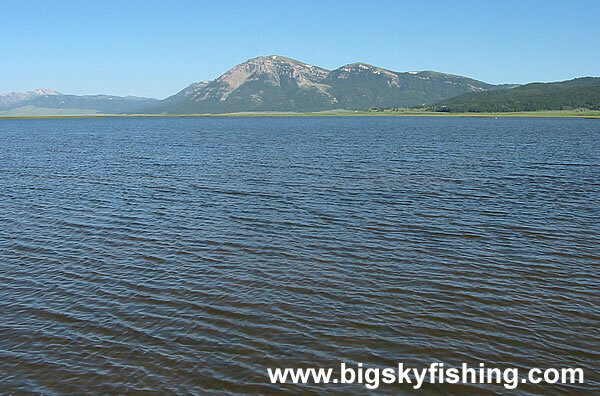 Several roads lead to the shore of the lake and provide nice vistas of the lake and the Centennial Valley. These open areas along the lake also make for nice primitive camping spots, too - although the bugs can be terrible. For the curious, see this google map to see where this photo was taken (it's the road that "dead-ends' at the shore of the lake). The road is un-named.